I have this love-hate relationship with cakes. As much as I like to think that my body can miraculously cope with all the sugar and fat consumed from cakes, deep down inside I know it’s not true. Fortunately, there are lighter options out there (I won’t use healthier because it’ll be a misnomer :P)that still taste good. A case in point: The Patissier’s Passion Fruit Meringue. For dad’s birthday, I decided this would be the perfect birthday cake. 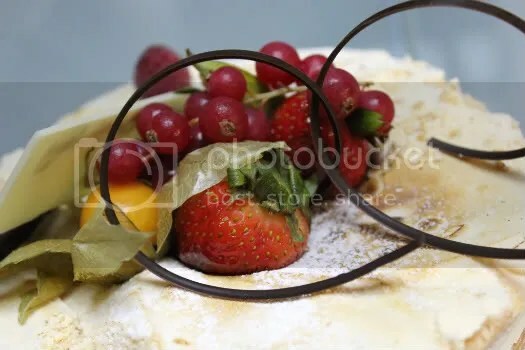 The meringue layers would provide a textural difference from the usual sponge cake, and it’s not rich (like those from canele) so the family will probably appreciate it more. It was indeed very light, so much so I finished three slices without facing much of an issue. Layered with minimal passion fruit flavoured cream and lots of fresh fruit, the overall taste was very refreshing. 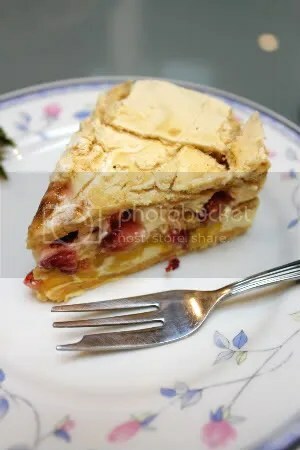 Even grandma appreciated the meringue layers, which was fluffy and wafer-like on top. However, I won’t say this will be my list of favourite cakes since it didn’t taste that sophisticated. But I daresay this would be a crowd-pleaser at any dinner party given how light and refreshing it is. 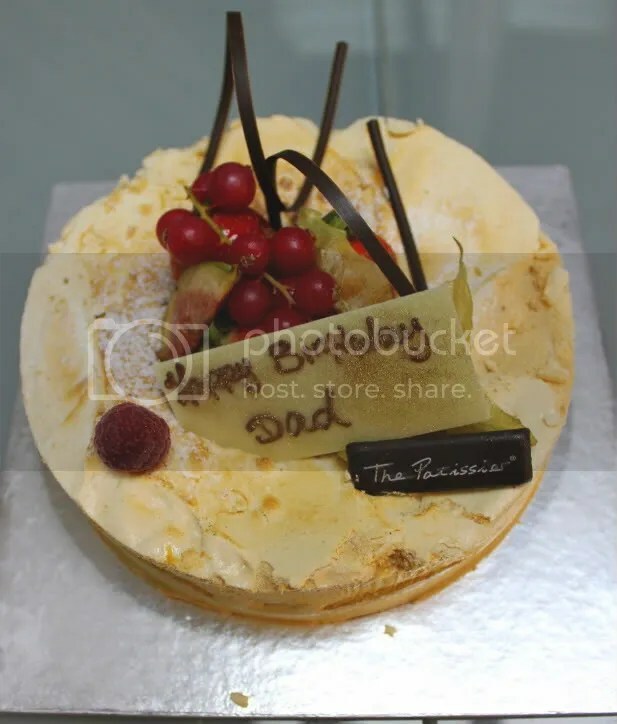 We appreciated the variety of fruits garnished on the cake. Figs, cranberries, gooseberries etc. They dried up a little by the time we ate it at night but when I first saw the cake, the garnishes were so pretty! You can call them to make an order, but you’ll have to make payment by credit card.